Mr Systrom, chief executive, said they were departing to "explore our curiosity and creativity again". There had been reports of tension between the pair and Facebook, and the departures add to what has been a troubling year for the parent company. 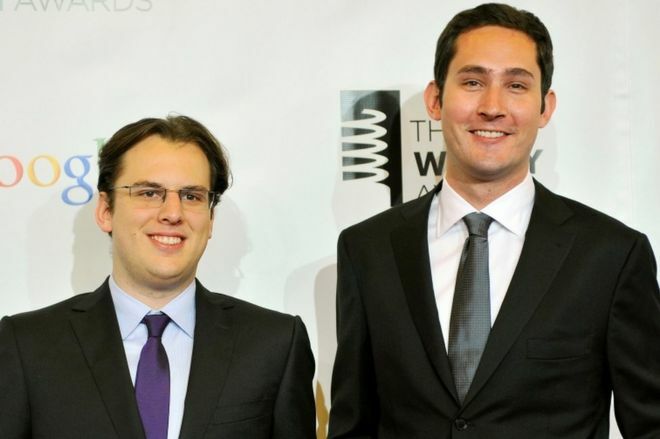 Mr Systrom, 34, the CEO, and Mr Krieger, 32, the chief technical officer, started the image sharing site in 2010 and continued to run the service after it was acquired by Facebook. What have the pair said? Not a great deal. They reportedly only told the Facebook leadership on Monday so the departure appears pretty sudden. In a blog post, Mr Systrom said: "We're now ready for our next chapter." He added: "Building new things requires that we step back, understand what inspires us, and match that with what the world needs; that's what we plan to do." There was no animosity in the blog post. Mr Systrom said the pair both remained "excited for the future of Instagram and Facebook". CEO Mark Zuckerberg said in a statement that Instagram reflected the founders' "combined creative talents". "I've learned a lot working with them for the past six years and have really enjoyed it," he said. "I'm looking forward to seeing what they build next." The BBC understands that tension started to grow between Mr Systrom and Mr Zuckerberg as far back as 2014 when Facebook purchased WhatsApp. The social network spent $19bn on the chat app in 2014, and Instagram's co-founder is said to have become concerned that he had sold out too soon. He also saw Snapchat prosper - an app Facebook had tried and failed to take over. "The irony is that Kevin built the more successful product," one insider commented. There are reports that Mr Systrom had sought to maintain Instagram's independence and that this trickled down to make staff on Facebook and Instagram less inclined to be collaborative. But there was pressure for their two apps to become more integrated, and features were added allowing, for example, Instagram Stories - videos that self-destruct after 24 hours - to be cross-posted to Facebook. Despite remaining Instagram's figurehead at product launches and other public appearances, Mr Systrom's influence declined over time, a source told the BBC, as more Facebook executives were transferred to the photo service. "Kevin maybe didn't have the fight in him anymore and probably didn't agree with some of the product decisions," the source said. "This is just the natural end to an era." The firm was quite deliberately treated like a separate company owned by Facebook, rather than merely a department or division, because it was Instagram's culture that made it such a valuable acquisition. Kevin Systrom and Mike Krieger were responsible for that culture - the entire feel of an app that was in many respects the anti-Facebook. It lacked the clutter and noise that had made Facebook bloated in many people's eyes. But slowly, in recent years, the Instagram app started putting on that weight. Algorithmic ordering of the timeline... and ads, so many ads. One of the names being touted as the next boss of Instagram is Adam Mosseri. He's currently head of product, and has a CV that some of Instagram's loyal users might find ominous - he was formerly in charge of Facebook's Newsfeed. Its chief executive and co-founder Jan Koum said in April he would quit the popular messaging service he co-founded in 2009 and sold to Facebook in 2014. Oddly, Mr Koum's departure statement is similar to Mr Systrom's. Analysts of that move also spoke of clashes with Facebook. Mr Koum's departure sparked an executive reshuffle that saw the tightening of Mr Zuckerberg's control over operations. 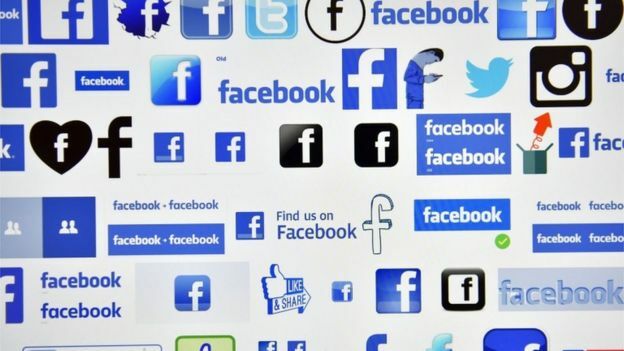 Facebook has been under intense pressure this year over the issues of safeguarding customer data and the misuse of its platforms by those wishing to spread fake news, including for political ends. Mr Systrom and Mr Krieger met while studying at Stanford University. The two were inspired to create the Instagram app - originally launched just for iPhones in 2010 - by old Polaroid pictures. 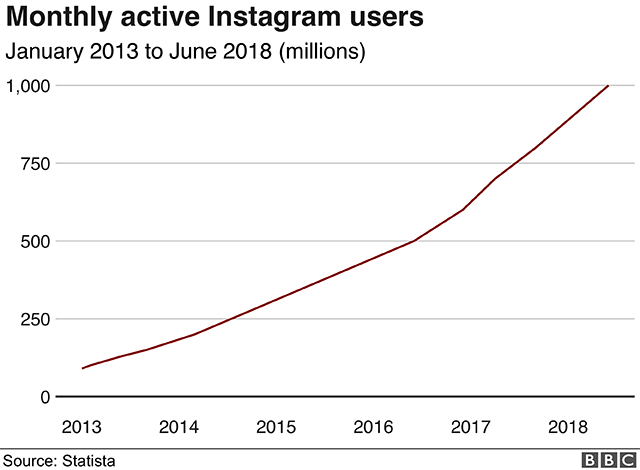 Instagram had about 30 million users in 2012, the year it was purchased by Facebook for what appeared to be an eye-watering $1bn. It was also ad-free. That changed. But so did the number of users - now more than a billion. The Forbes billionaires list estimates Kevin Systrom's net worth at $1.4bn. Mike Krieger's net worth is less. There are no definitive figures, ranging from $100m to $500m. 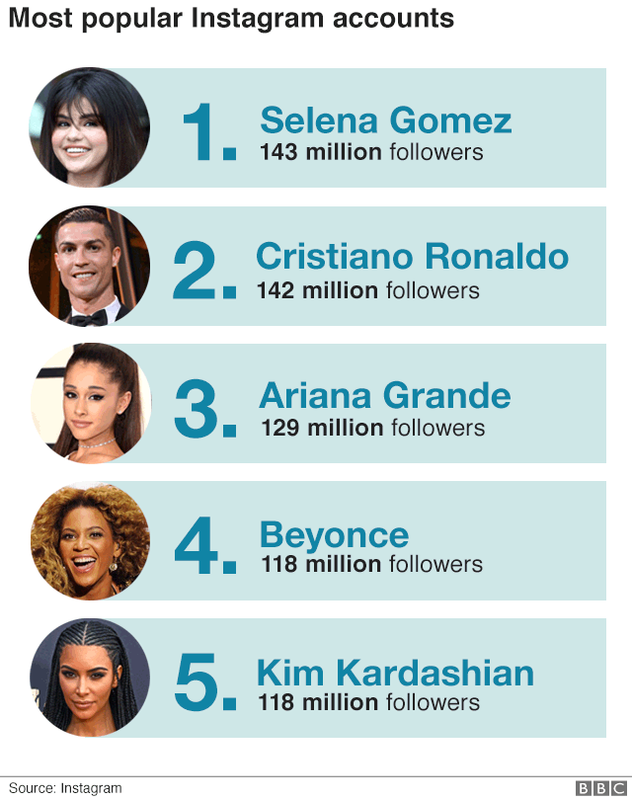 What has the social media chatter been? One Twitter post highlighted the use of the word "again" in Mr Systrom's "explore our curiosity and creativity again". "Was it a slight dig from Systrom with the 'again'? You be the judge (I judge yea)," wrote Kara Swisher. NBC media reporter Dylan Byers wrote that the Instagram pair had saved Mr Zuckerberg. In fact, many posts spoke of the creativity and integrity of the departing pair.